Each flower has a meaning derived through a combination of history, legend, art, and style. These meanings are communicated through the colour and shape of each flower, a subtle yet undeniable effect. My favorite flower is a daisy. The name daisy comes from “day’s eye” because the flower is only open during the day and closes up or ‘sleeps’ at night. 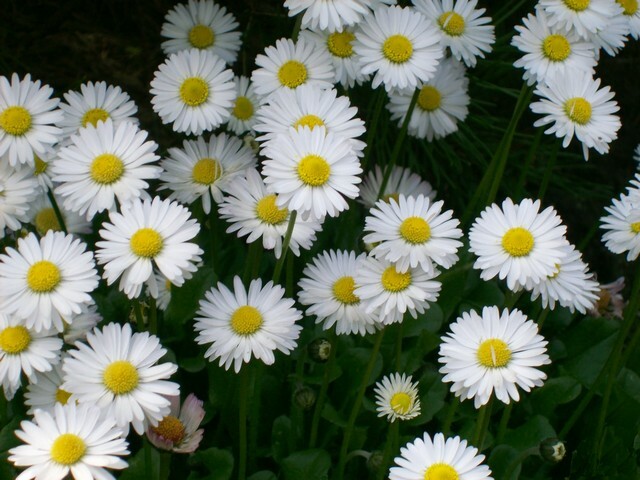 The daisy brings a message of innocence and purity, and always has positive meanings. The simple flower can be found in ancient folklore. For instance, there is a belief among folks that Daisy flowers can tell you about the feelings of your beloved. You just have to pull petals from a flower, keep saying “loves me/ loves me not” and the last petal would tell the truth. I remember doing this so many times while growing up!!! Here are some meanings and symbol-isms of flowers often found in wedding bouquets. 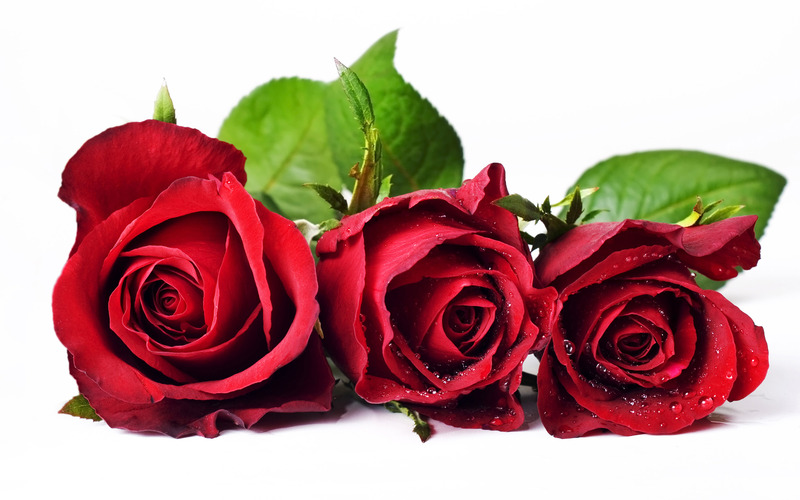 Long a symbol of love and passion, the ancient Greeks and Romans associated roses with Aphrodite and Venus, goddesses of love. Used for hundreds of years to convey messages without words, they also represent confidentiality. In fact, the Latin expression “sub rosa”(literally, “under the rose”) means something told in secret, and in ancient Rome, a wild rose was placed on the door to a room where confidential matters were being discussed. Each colour offers a distinct meaning: red, the lover’s rose, signifies enduring passion; white, humility and innocence; yellow, expressing friendship and joy; pink, gratitude, appreciation and admiration; orange, enthusiasm and desire; white lilac and purple roses represent enchantment and love at first sight. The number of stems in a rose bouquet can also express specific sentiments. The June birth month flower and the 15th wedding anniversary flower. The 11th wedding anniversary flower, it’s said that the tulip’s velvety black centre represents a lover’s heart, darkened by the heat of passion. With the power to rival roses in their red variety and the sweet charm to express simple joy when yellow, it’s no wonder that in addition to all its other symbolism, in the language of flowers, a tulip bouquet represents elegance and grace. With a history that dates back more than 2,000 years, it’s not surprising that carnations are rich with symbolism, mythology and even debate. While some scholars suggest that their name comes from the word “corone” (flower garlands) or “coronation” because of its use in Greek ceremonial crowns, others propose that it’s derived from from the Latin “carnis” (flesh) referring to the flower’s original pinkish-hued colour or “incarnacyon” (incarnation), referring to the incarnation of God-made flesh. Today, carnations can be found in a wide range of colours, and while in general they express love, fascination and distinction, virtually every colour carries a unique and rich association. White carnations suggest pure love and good luck, light red symbolizes admiration, while dark red represents deep love and affection. Purple carnations imply capriciousness, and pink carnations carry the greatest significance, beginning with the belief that they first appeared on earth from the Virgin Mary’s tears – making them the symbol of a mother’s undying love. Worn on Mother’s Day, Teacher’s Day, St. Patrick’s Day (in green, of course!) and at weddings, this hardy, sweetly fragrant flower is the January birth month flower and the 1st wedding anniversary flower. 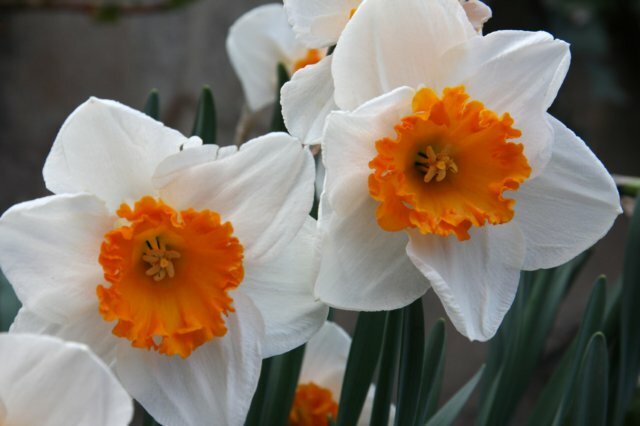 Symbolizing rebirth and new beginnings, the daffodil is virtually synonymous with spring. Though their botanic name is narcissus, daffodils are sometimes called jonquils, and in England, because of their long association with Lent, they’re known as the “Lent Lily.” Lore connecting the daffodil to not only a sign of winter’s end but a lucky emblem of future prosperity is found throughout the world. In Wales, it’s said if you spot the first daffodil of the season, your next 12 months will be filled with wealth, and Chinese legend has it that if a daffodil bulb is forced to bloom during the New Year, it will bring good luck to your home. 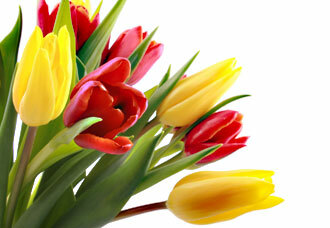 The March birth flower and the 10th wedding anniversary flower, a gift of daffodils is said to ensure happiness. But always remember to present daffodils in a bunch – the same legends that associate this cheerful flower with good fortune warn us that when given as a single bloom, a daffodil can foretell misfortune. With a history that dates back to 15th century B.C., chrysanthemum mythology is filled with a multitude of stories and symbolism. Named from the Greek prefix “chrys-“ meaning golden (its original colour) and “-anthemion,” meaning flower, years of artful cultivation have produced a full range of colours, from white to purple to red. 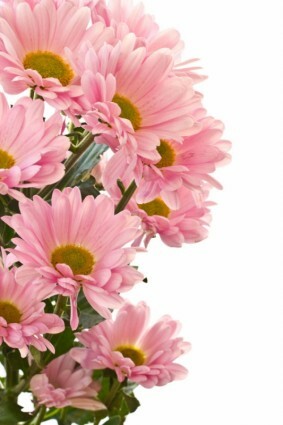 Daisy-like with a typically yellow centre and a decorative pompon, chrysanthemums symbolize optimism and joy. They’re the November birth flower and the 13th wedding anniversary flower. In Japan, there’s even a “Festival of Happiness” to celebrate this flower each year. A symbol of the sun, the Japanese consider the orderly unfolding of the chrysanthemum’s petals to represent perfection, and Confucius once suggested they be used as an object of meditation. It’s said that a single petal of this celebrated flower placed at the bottom of a wine glass will encourage a long and healthy life. The most highly coveted of ornamental plants, the delicate, exotic and graceful orchid represents love, luxury, beauty and strength. 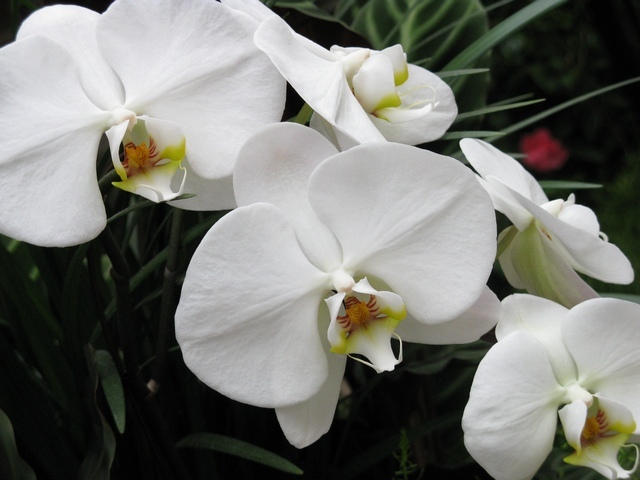 In ancient Greece, orchids were associated with virility. In fact, Greek women believed that if the father of their unborn child ate large, new orchid tubers, the baby would be a boy. If the mother ate small orchid tubers, she would give birth to a girl. During the Victorian era, orchid symbolism shifted to luxury, and today this sense of magnificence and artful splendour continues, with orchids representing rare and delicate beauty. The 14th wedding anniversary flower, pink orchids convey pure affection, and the popular cattelya orchid represents mature charm. It’s said that the natives of the Inca Empire worshiped a giant sunflower, and that Incan priestesses wore large sunflower disks made of gold on their garments. 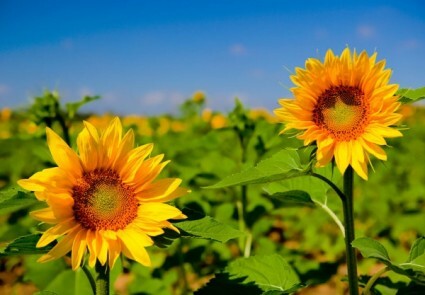 Images of sunflowers were found in the temples of the Andes mountains, and Native American Indians placed bowls of sunflower seeds on the graves of their dead. The Impressionist period of art is famous for its fascination with the sunflower, and this striking flower remains today a commonly photographed and painted icon of uncommon beauty. The 3rd wedding anniversary flower, sunflowers turn to follow the sun. Their open faces symbolize the sun itself, conveying warmth and happiness, adoration and longevity. With their wildflower beauty and lush texture, asters have long been considered an enchanted flower. In ancient times, it was thought that the perfume from their burning leaves could drive away evil serpents. Today, they’re known as a talisman of love and a symbol of patience. Also known as starworts, Michaelmas daisies or Frost flowers, the name aster is derived from the Greek word for “star,” and its star-like flowers can be found in a rainbow of colours – white, red, pink, purple, lavender and blue, with mostly yellow centres. The September birth flower, asters also hold the honour of being the 20th wedding anniversary flower. This entry was posted in Uncategorized and tagged florist in Bay of Islands, florists in Russell, flower meanings, flowers on your wedding day, getting married on the beach in New Zealand, Russell Weddings on July 2, 2013 by idabirch.